The motherhood journey is different for every mom. Some find taking care of their children an easy task. They are perhaps blessed with the ability to adapt quickly to different types of situations. Others need a little more time to get used to the rhythms of motherhood, and make sure to arm themselves with advice from family and information from books and the internet. But whether you’re a mama in Manila, a nanay in Cebu, or an iloy in Negros, you are one in loving your children unconditionally and wishing for them only the best. 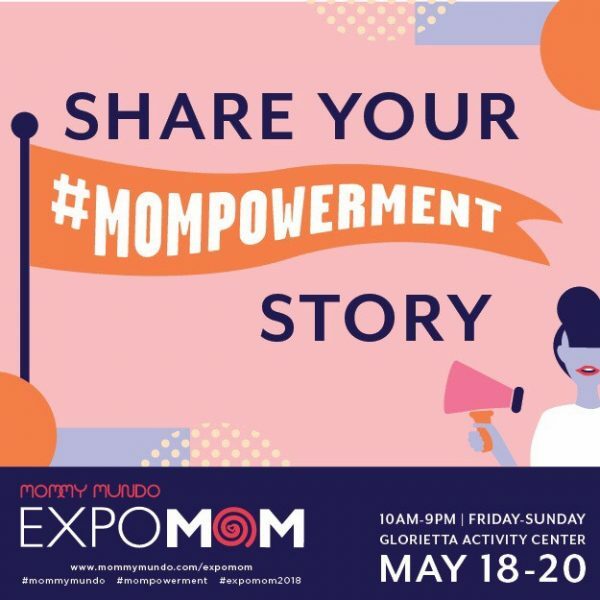 More so, you may find solace, support, and inspiration from the mompreneurs, partners, experts, and your fellow moms of Mommy Mundo’s Expo Mom community. 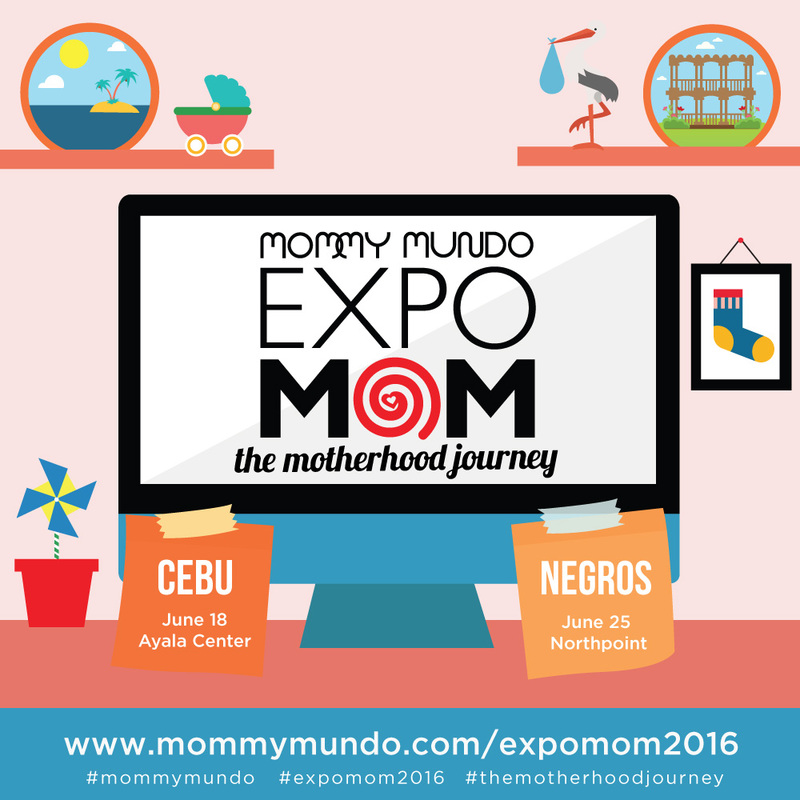 After its successful run in Manila last April, Expo Mom 2016: The Motherhood Journey makes a stop on June 18, Saturday, at the Ayala Center in Cebu City before moving on to Negros on June 25, Saturday, at the North Point Mall in Bacolod City. 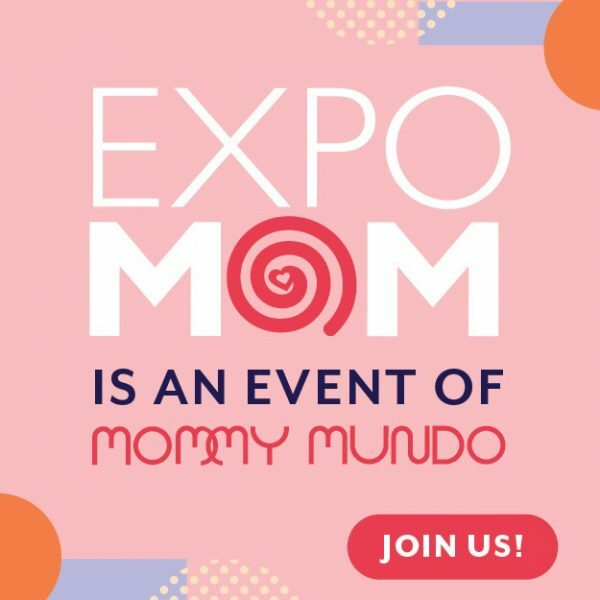 At Expo Mom, moms will be delighted to discover practical solutions as well as relevant propositions to their most pressing problems and issues. 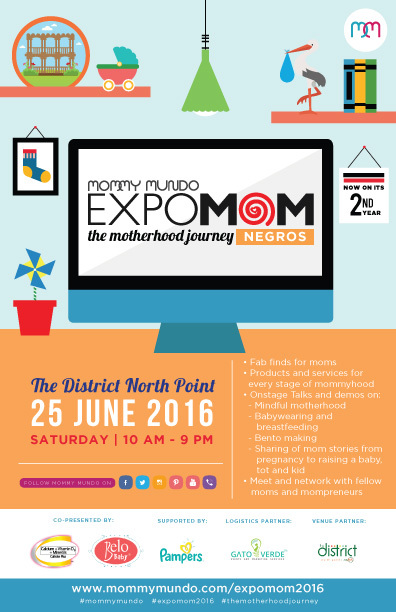 Aside from bringing in expert resource persons to facilitate workshops and group discussions, Expo Mom will also be showcasing the latest mom-, baby-, and child-oriented products in the market. 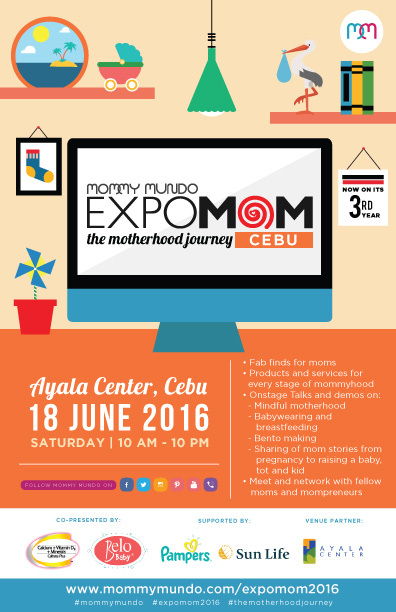 The lineup of exhibitors in Cebu include ClearAScar, Cycles and Cradle, Sanicare, Babyzone, Modern Mama, Baby Mum Mum, Vpharma, Boba Philippines, Halo Sleepsack, and The Nest. In Negros, the participating exhibitors include Caltrate Plus, Belo Baby, Downy Baby Gentle, Cycles and Cradle, Sanicare, Babyzone, Five Little Monkeys, and Halo Sleepsack. and supported by Sun Life and Downy Baby Gentle. Creative Juice Communications is its logistics partner.